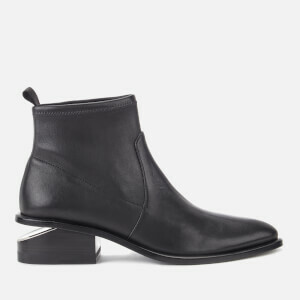 Crafted from smooth black leather, the almond-toed ‘Kori’ boots from Alexander Wang sit atop a stacked heel with signature notched cut-out detailing that features a polished rhodium plate insert. 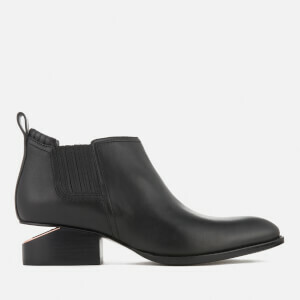 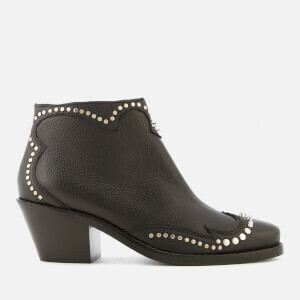 The low-heeled oxford boot is detailed with elasticated finger gores at the sides and a heel tab for entry assistance. 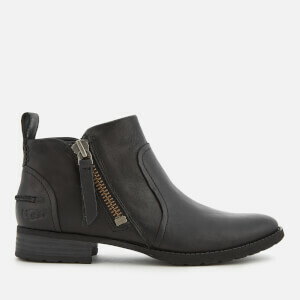 Tonal stitching throughout.